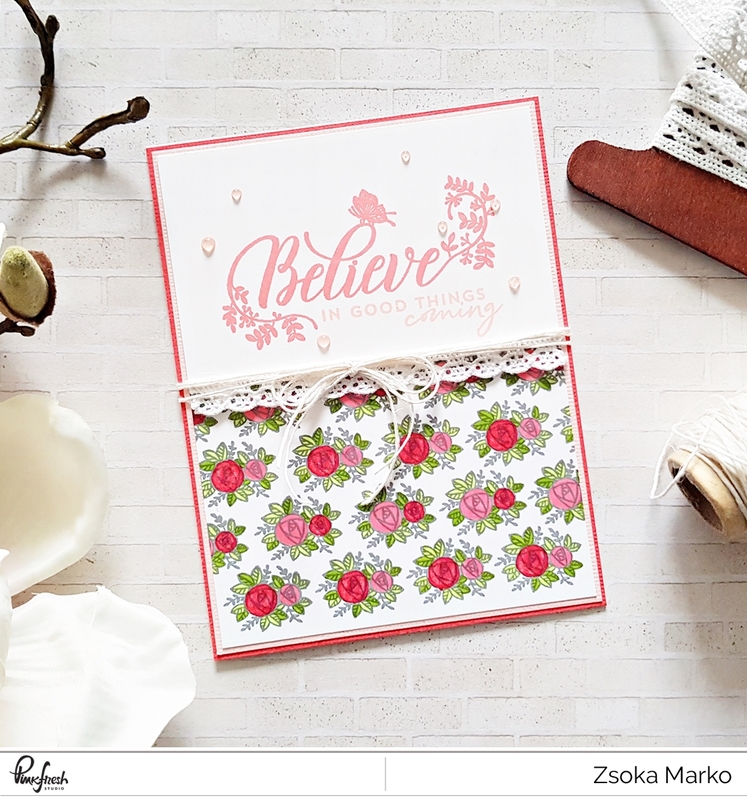 I'm stopping by to share a few card ideas using products from the amazing Pinkfresh Studio January release! 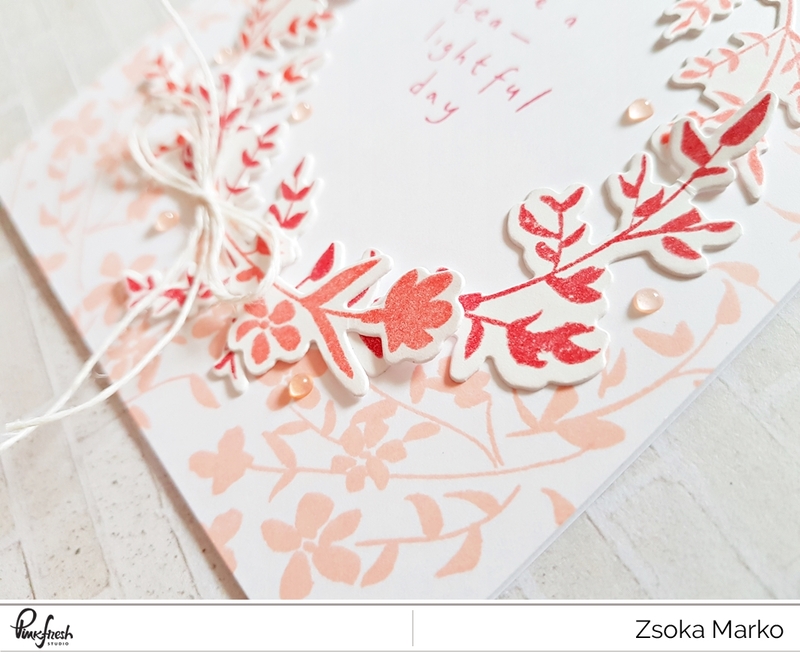 Wreaths are my favourite thing on any project, layout, card, DIY, you name it! So obviously I had to make a couple of cards with wreath design. I picked out 4 different shades of coral ink pads and with the lightest one I stamped a floral background, leaving an oval white space in the middle of my A2 top folding card base. 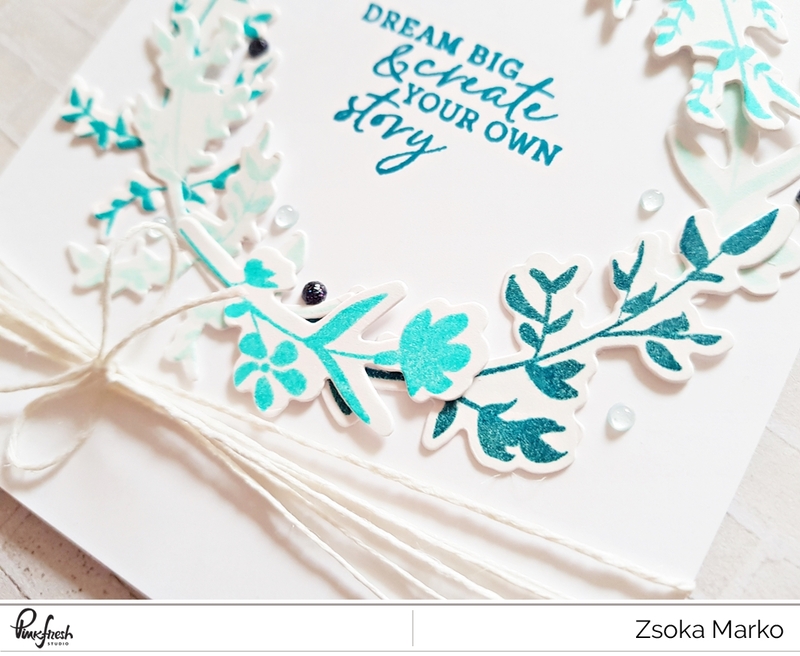 I then stamped some of the Dainty Botanicals in the other 3 shades of ink and die cut them. I arranged them in a wreath shape and glued them down with liquid glue. I used the darkest ink color for my sentiment which I just stamped in the middle. To finish off my card I added some Nuvo drops and a twine bow. 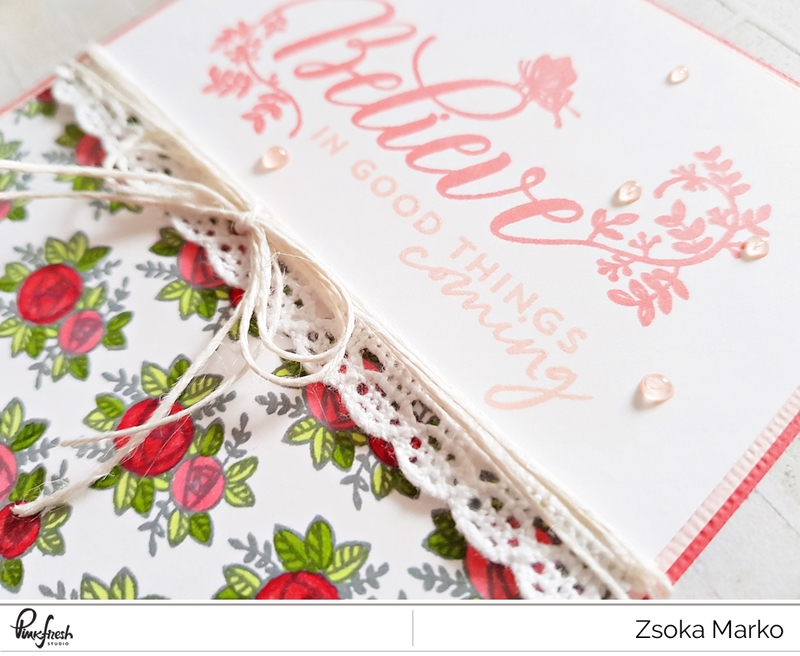 My second card is very similar, except I left the background white (I know, right?! I never do white! But I seem to love it on cards now!) and stamped the images in blue tones. This time I wrapped some twine around the bottom of the card to add some texture and dimension. 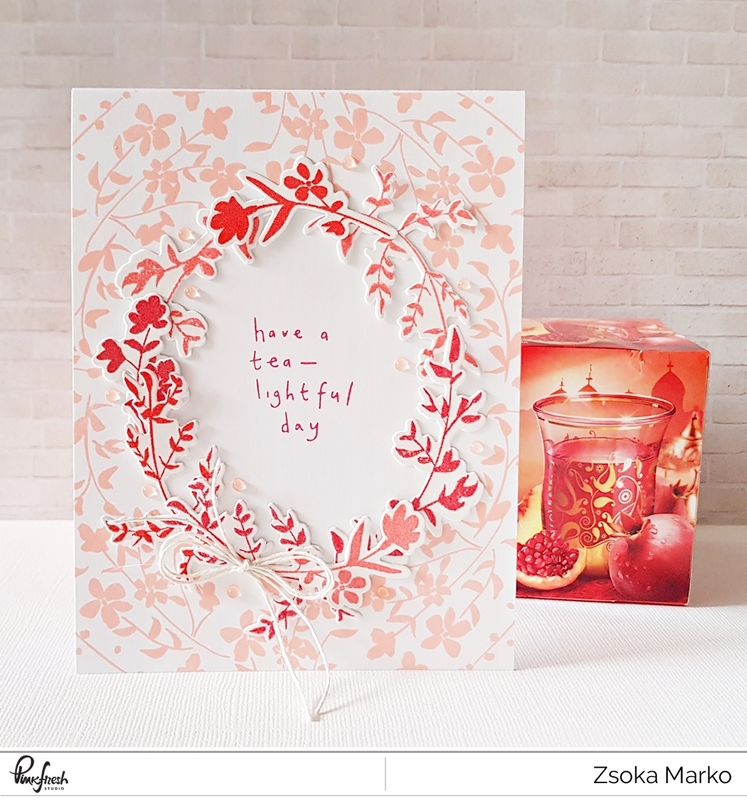 For my third card I used the Tealightful Day stamp set. It's such a whimsical and adorable set! I made an A2 top folding card base from kraft card stock. Then I stamped the teeny umbrellas and the sentiment in black ink and also added some rainbows. I colored my umbrellas with my new Faber Castell Polychromos pencils (I had a 36 set but my boyfriend came home with the 120 set the other week, isn't he awesome?!). I added some machine stitching, Nuvo Crystal Glaze droplets and a few white polka dots, for which I used a Gelly pen. I stamped my 5x5.25" background using a tiny rose image and colored it in with some Artist markers. This time I wanted a sliver of color to show around the edges of my card base, so I adhered a 4.25x5.5" piece of coral card stock to my A2 top folding card base. I then added a a piece of white too, just a little smaller than the coral one. I stamped my sentiment on a piece of white card stock and adhered it down on my card base. I cut my floral panel to the right size and glued this down too. I wanted to hide the line where the two card stocks meet, so I added a piece of decorative ribbon, and twine. 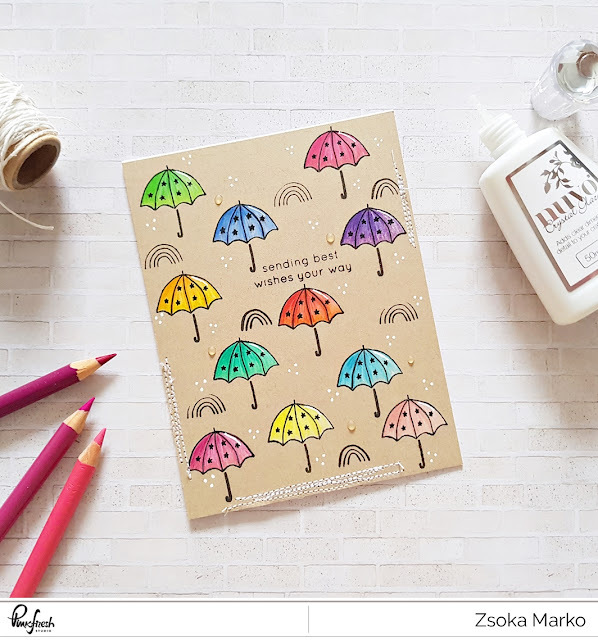 Some Nuvo drops finish off my last card for today! 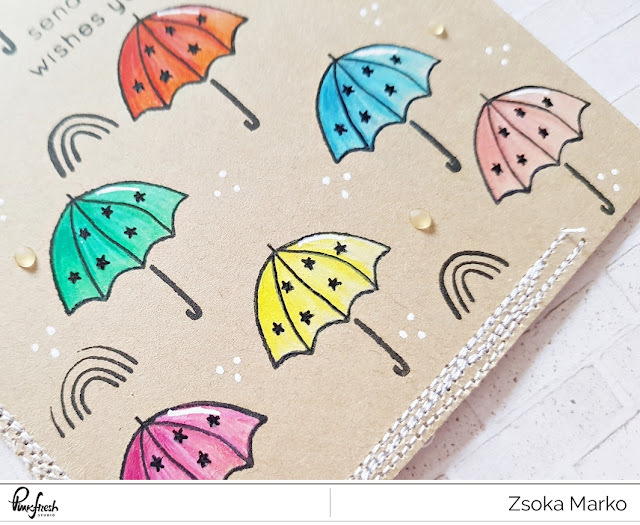 I hope I could inspire you to bust out your stamps and start creating!